As we saw in the post How can I invite users to my account?, both the Administrator and Business Analyst of an account can invite all the users they want through the ‘User Management’ section. Being an Administrator or Business Analyst, you only need to know the email addresses of the users you want to invite, so that they can join your account. However, there is also the possibility that your own users be the ones that manage their entrance to your account. If you have set up a domain when creating your organization (e.g. ‘flokzu.com’), users that have en email address from that domain will be able to request to join your organization directly (without the need to receive an invite). 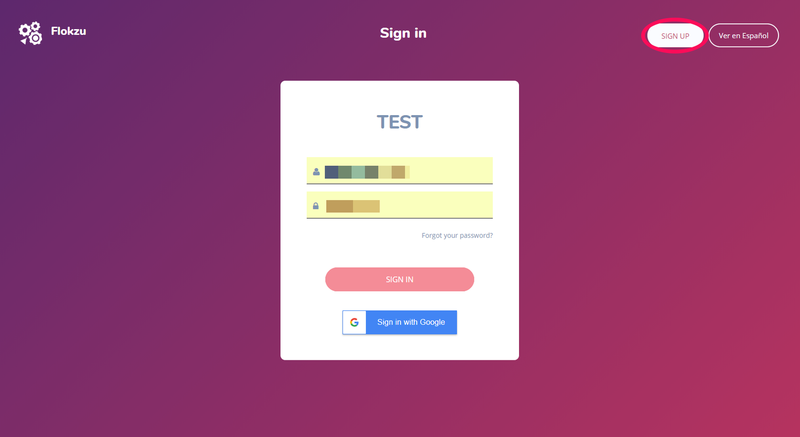 Given the following domain, it is possible to click on ‘Sign up’ and choose an email address and password to enter the organization automatically. Should I pay for the users that were self-provisioned? Yes. Self-provisioned users, once they register to your account, they bear no difference to rest of your users.